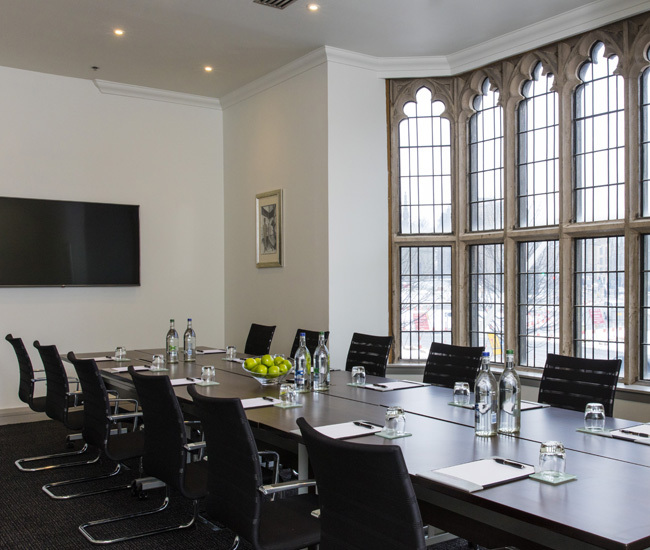 Our 3 executive boardrooms, and dramatic rooftop Calton Suite, provide our guests with flexible meeting spaces, unlike anything else in the city of Edinburgh. To discuss your requirements and how we can help craft an inspired event, please contact our dedicated events team at events@theglasshousehotel.co.uk, or call (0131) 525 8331. 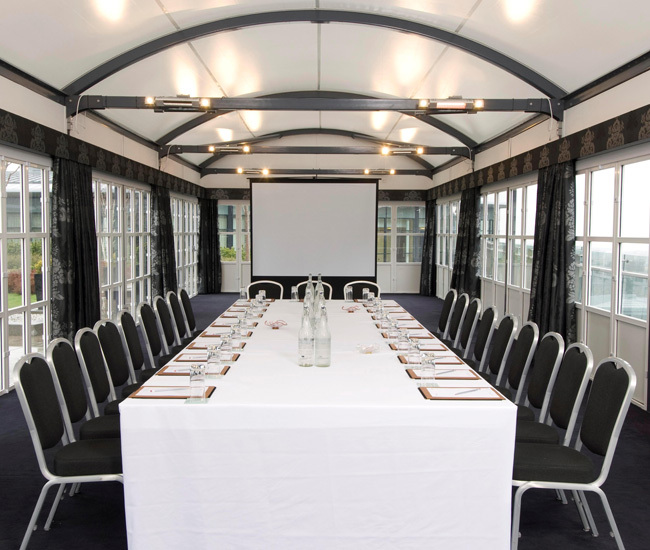 The Glasshouse Hotel’s newest conferencing room. The Boardroom is housed behind the hotels church façade, bathed in natural light and fitted with state of the art technology, including a 60” plasma screen, click share software for easy integration, Nespresso coffee machine, and high-speed Wi-Fi. A comfortably large room with luxury furniture and easy access to outdoor space, perfect for summer break-outs. Carefully designed to create a bright meeting space, The Boardroom allows for creativity and productivity for any meeting style, offering the flexibility for a boardroom meeting, theatre style presentation or standing reception. 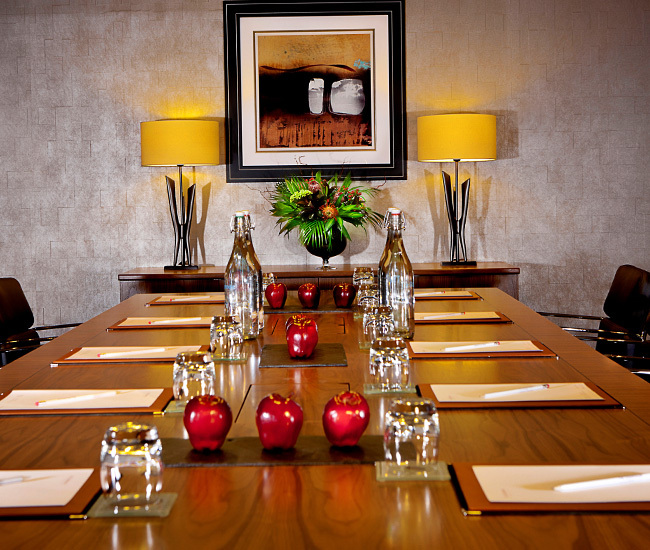 The Walter Scott & Louis Stevenson are private boardrooms housed on Level Two of the hotel. Ideal for a private meeting for up to 14 delegates, these luxury boardrooms are airconditioned with an integrated boardroom table, accompanied with executive leather chairs, for your delegates comfort. Both boardrooms are equipped with a LCD projector & screen, high-speed Wi-Fi, and each room is equipped with a Nespresso coffee machine. The Calton Suite is our largest and most flexible event space, situated atop the hotels two-acre roof-top garden. This 120sq m space is dominated by windows offering views over the lawn, as well as Edinburgh’s Calton Hill and the Firth of Forth. This multi-faceted event space can host anything from a summer barbecue for 110 guests, to a company away day for 40 delegates. Unlike other venues, our delegates are not confined to their event room, your Calton Suite event enables you to utilise many areas of our roof top garden for break-out sessions or al fresco catering. 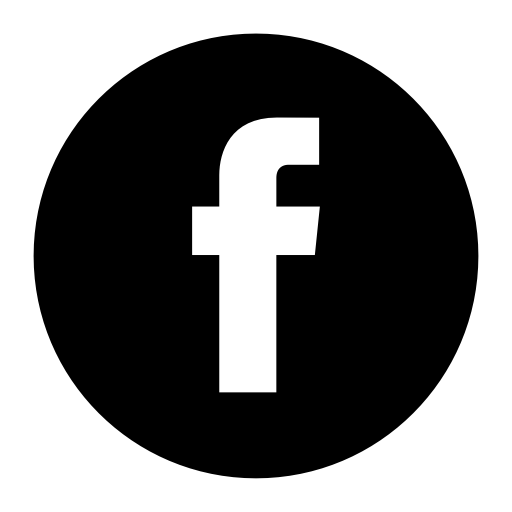 Our day delegate packages encompass every key element you will require to host your event with us. Please note, a minimum of 8 delegates are required for The Boardroom, Louis Stevenson & Walter Scott. The Calton Suite carries a minimum of 20 delegates for Day Delegate rates. Our 24-hour delegate rates cover all aspects of a full day meeting, evening dinner and overnight accommodation, making sure your guests are looked after throughout their experience with us. Please take the time to peruse our range of Meetings & Events Menus, which have been expertly crafted by our Head Chef to provide the perfect accompaniment to whatever event you’re planning.